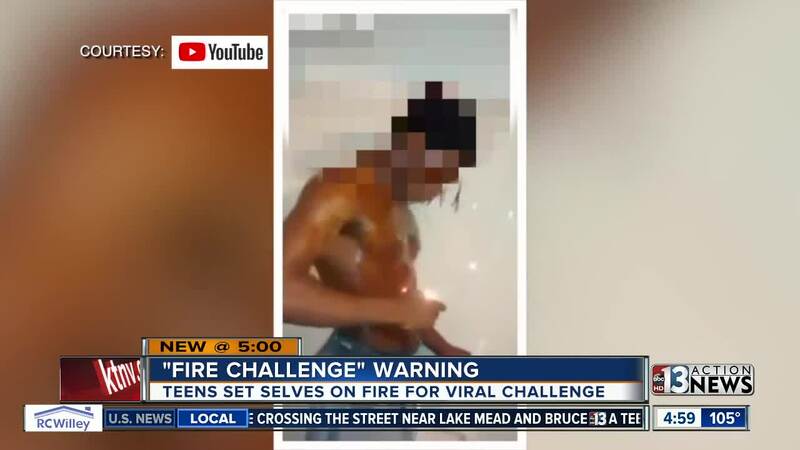 Another viral video challenge is making the rounds on social media and one parent has a dire warning after the "fire challenge" nearly killed her daughter. Brandi Owens told 13 Action News' sister station WXYZ about the terrifying ordeal with her 12-year-old daughter Timiyah Landers just this week. "I thought I was going to lose my baby," said Owens outside a Detroit, Michigan, hospital. "By the grace of God, she is alive," she added. The challenge involves children and teens using rubbing alcohol or other flammable liquids to set themselves on fire. The stunt is then posted on social media. Doctors say Landers suffered burns over 49 percent of her body. Local doctor Daliah Wachs, professor at Touro University and radio show host , says this dangerous trend is growing online. "I guess the premise of the fire challenge, which is now one of the more dangerous that we have seen, is you have a tub nearby or a shower nearby, supposedly, you light yourself on fire," said Dr. Wachs. "You hopefully can submerge in the tub before the fire does damage [to your skin]," Dr. Wachs explained. 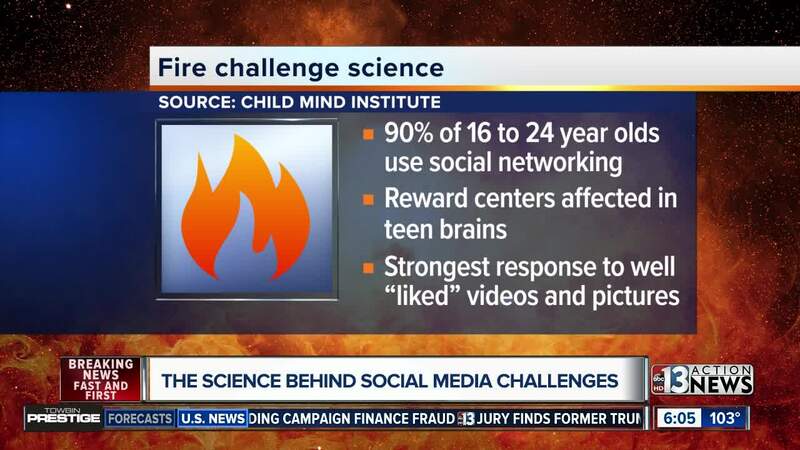 Experts say there is a science behind the alarming video challenge trends and it's all connected to the affect social media has on teen brains, according to a 2017 Child Mind Institute report. Surveys show approximately 90 percent of 16- to 24-year-olds have smart phones and use the internet for social networking. Additional research and studies have shown social media affects the "reward centers" of teen brains and the reward centers are stimulated and respond to videos and pictures with more "likes." "This is scary, because kids watch this on YouTube, they think it’s cool, they don’t appreciate the danger of fire and flammable fluids," Dr. Wachs said. "We have a growing drive to be liked and accepted," she added. "We make a video of ourselves that gives us, all of the sudden, instant attention, and it is now a driving force in our culture," Wachs explained. Dr. Wachs adds younger generations do not have traditional life experiences as previous generations and it is not safe to assume all children and teens have "common sense" and are conditioned to stay away from dangerous situations. "What we need to do is teach our youth that what you see on TV or YouTube or Snapchat is a very filtered picture of what is going on," said Dr. Wachs.